Our 24/7 week-long prayer-worship-and-outreach event is almost here. We are in the final countdown! Our team has been thinking of creative ways to invite us all into mobilizing for the July 21-28 Event. We all updated our profile pictures to spread the word. …please reply to info@lovesf247.com with a square photo of yourself and we’ll send you one back with this style to put up on your profile! We’re better together – see you there! Please ask the Lord to inspire you about who to mobilize into this event. Please continue to lift every new believer in prayer, so that they find good homes in strong local churches where they will be discipled, and find help, hope, healing, and wholeness in Christ. 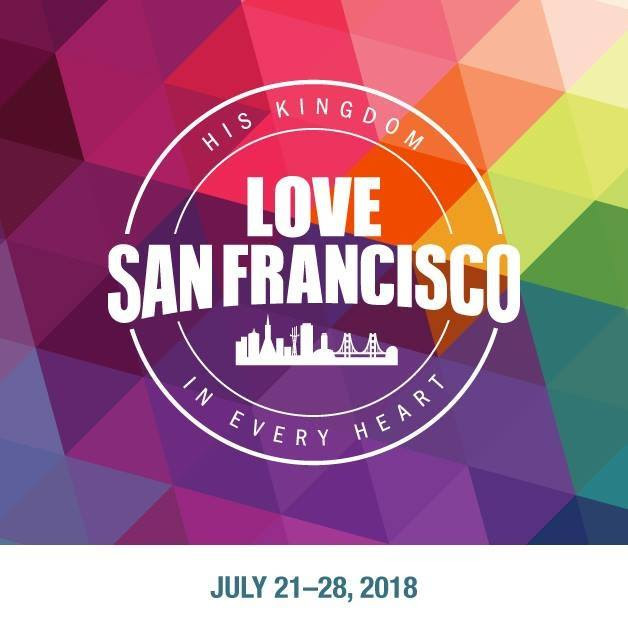 Each was given a list of solid Bible believing churches in their neighborhoods (if they lived in SF) or their counties (if living somewhere in the Bay Area). There are LOTS of outreaches upcoming as we team with other ministries in sharing the Gospel and the love, hope, and peace only Jesus can bring. This year our average monthly expenses are $939 LESS than our income from donations. We are praying for more regular monthly donors to cover this shortfall, especially with all the upcoming outreaches. Are YOU able to be one of these? In May our TOTAL EXPENDITURES were $3,932. In June TOTAL EXPENDITURES $3906 (so far) much of which are additional expenses accrued for the Haight Street Fair Outreach. Printing costs for NDP Cards and Flyers were covered by our March fundraiser. Most of the other expenses for facilitating this city-wide event were covered by the offering taken at the event! Thanks to all of you who gave, and to San Francisco Christian Center for hosting the event! *SFHOPFAN is a federally recognized 501c3 Charitable Non-Profit. Your gifts are tax-deductible in accordance with current tax law. PARKING street parking only – can’t find a spot?